Control any device you want at home from your computer using this customisable remote control. Thanks to the infrared learning system you can control any household device which works using a remote control. 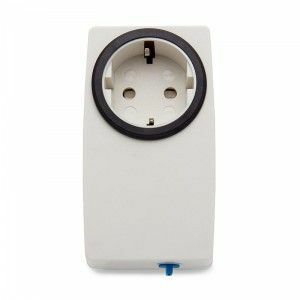 With the appropiate accessories you will control also other elements like doors, lights, beds, ceiling hoists, blinds, electrical appliances and warning alarms. Control all you want, you can create an unlimited number of programable buttons and scenes. 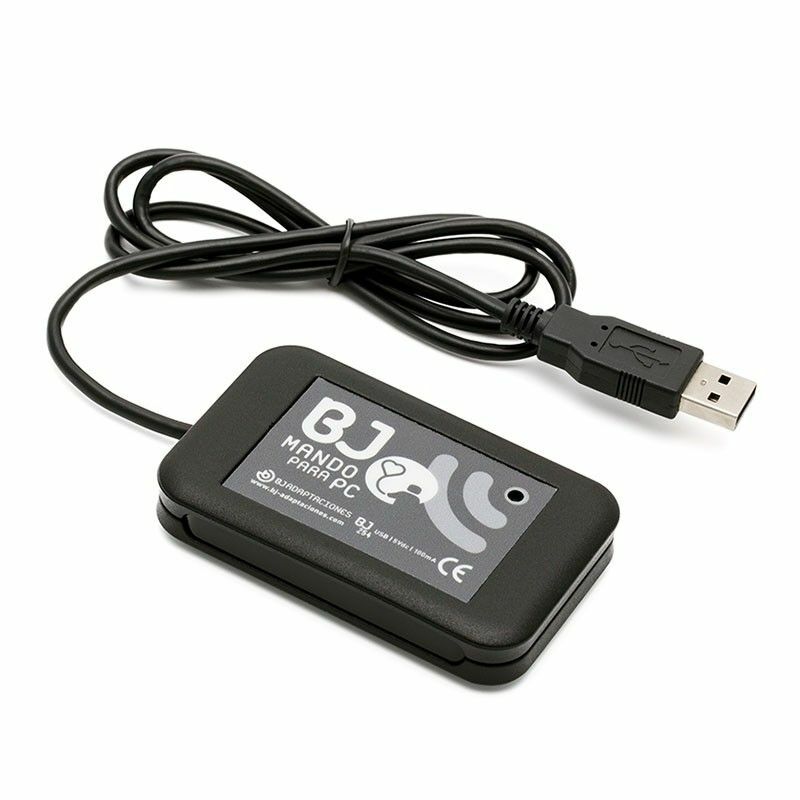 Customize the function that performs each button according to your needs with the BJ Control programmed. Select the number of buttons and their distribution in each scene. Personalized each button with the text and image that you like. With the radio frequency system, control the elements overcoming obstacles and walls; no need to aim. Possibility of macros: a single button activates a sequence of actions. Fully compatible with Grid 3: program your environmental control actions directly in Grid 3. Customize your controller's functions and appearance with the BJ Control programme included! This device is part of environmental control solution. "Plug & Play" USB device. Radio Frequency: 433 MHz (ICM). Size: 81 x 49 x 12 mm. Customisable buttons: use the image and text that you want. Possibility to import and export configuration files. Transparent cells to personalize the layout. Possibility to create macros with an unlimited number of actions per button. Command interface accessible from other programmes. Control commands integrated into The Grid2 programme. Collection of standard icons included. Possibility of recording infrared alternate codes. 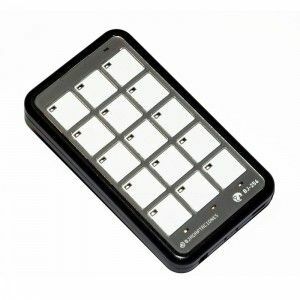 Compatible with communicators (Grid 3, The Grid 2, MInd Express, Tobii communicator...). Possibility to have shorter USB cable. Just ask us. What does the BJ Control programme let you do? 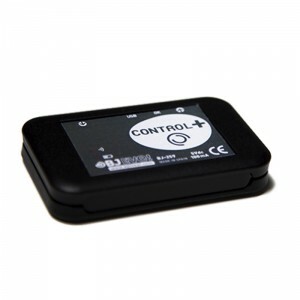 BJ Control can be controlled by mouse, keyboard, voice commands or switch, all fully customizable. You can also use voice messages to inform you about the actions currently being performed or to be performed. Each of the "buttons" that make up a screen of the BJ Control programme can perform the following functions: infrared control, enabler control, open other entertainment or work programmes, play a message, perform a sequence of actions or perform an action at a scheduled time.